‘Unsurpassed in First World War fiction’ it says on the cover, and that’s quite a lofty canon. But this addition does indeed rank there with them, even among the highest. One of the most moving, thought-provoking and heart-rending books I think I’ve ever read, a wonderful achievement. 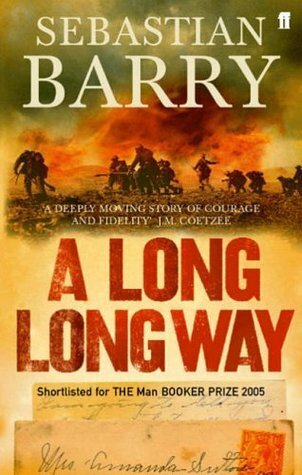 Perhaps only an Irish writer could truly bring the ambiguity in the mind of the ordinary soldier to bear with such telling honesty. The Irish, of course, had their own sometimes divided loyalty. But the lot of so many, from so far, was not in truth so different: English boys fighting a war they could hardly grasp for a king they’d never see; Empire troops travelling across the world for a motherland they’d never visited. Men on all sides who found themselves impossibly bound up in a moiling conflict of other men’s making are here represented in the form of little Willie Dunne. Sign into Goodreads to see if any of your friends have read A Long Long Way.